First and foremost, SEO is a game that is about competition. By its very nature, you are trying to defeat your competitors when you engage in any kind of SEO work. If you are moving up the organic search rankings, someone else is moving down. That’s just how it should be. And for all these, you need to know what your competitors are doing. And what can be better than the tools which make the whole process automated and accurate? 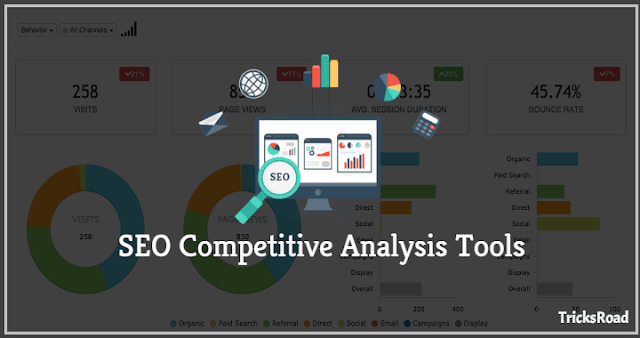 In this post, we are going to talk about a few best SEO competitor analysis tool which will help you analyze your competitor website and strategies completely. With this in mind, competitive analysis is a key piece of the overall SEO puzzle. Knowing what your competitors are up to, and where they might be weak, is important if you want to find success in the long run. Below is a list of a few tools that many content marketing services use in their day to day work. 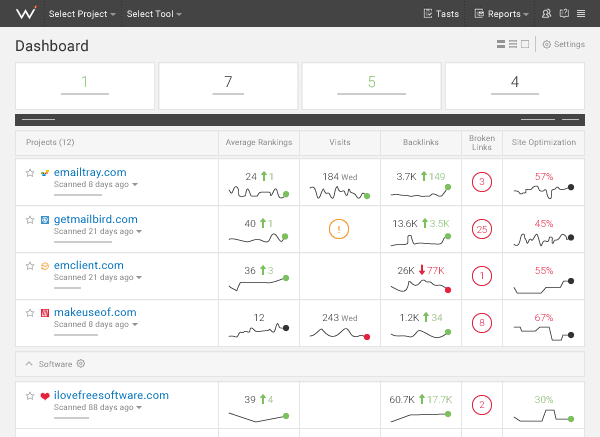 So, let's start and see 5 best competitor analysis tools for websites and blogs. These blogs will help you find where your competitors websites are, what links those are building, what link building strategies they are following and much more. The best thing with most of these SEO competitor analysis tools is, those are available as fermium tools. That means to say, for some limited query and feature, you can use these for free. For full feature and uninterrupted uses, you can subscribe to their paid plans. Also, you can make some automation here with the help of which you can be able to track the updates happening on your website as well as your competitor's website. This may include the tracking of keyword ranking in search engine, position changes and much more. By this way, you don't have to look for these details manually every day and instead can simply get the mail whenever any changes are there. We might as well start with one of the most popular competitive analysis tools available today. SEMrush is used by an incredible number of businesses, and for good reason. This is an extremely powerful tool which can help with things like keyword research, competitor research, and site auditing. 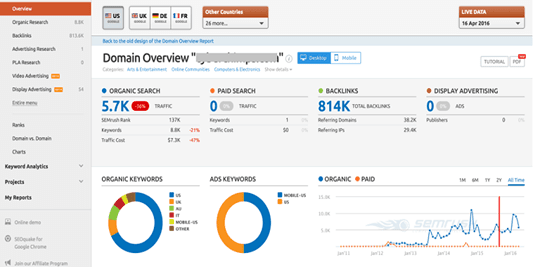 If you haven’t previously used SEMrush, now is the time to get started. You can start with their 30-days free trial and once you are good with their features and products, can subscribe to the paid plans. You will be able to know the details about the traffic, ranked keywords and how much traffic those keywords are sending, website link profile and much more. Another popular tool, Ahrefs can help you to easily determine which keywords are being targeted by your competition. Where is your competition getting most of their traffic? Is there an opportunity for you to work your way into those keywords, taking some of their traffic in the process? You’ll be amazed at the amount of information you can extract from an Ahrefs account. Earlier, I used to be a fan of this tool and have written a detailed review of Ahrefs as well. Even, Ahrefs was one of the most recommended link building tools in our expert roundup. But later on, due to some issues, I moved to SEMrush but can say, Ahrefs is still one of the best SEO tools on the market. With Ahrefs normal overview, you can have the details like traffic on the website, their DR value, backlink profile and their distributions and much more. Our next competitive SEO analysis tool is a little bit different, in that it comes as a browser extension. This is a great way to analyze your competition, as you don’t have to do anything but browse the web in order to pick up valuable information. Install the extension within your favorite browser and look around at the sites on the web that make up your main competition. It won’t take long before you gain a clear understanding of what you’ll need to do in order to keep up. It's not been long when the MOZ's domain factors such as Domain Authority (DA) and Page Authority (PA) used to be one of the most trusted domain value factors. But with time people started knowing the tricks to increase domain authority of the website. Till this, it was good but some automated methods have come as well which increases DA irrespective of the quality. But still, the MOZ trust factor, MOZ domain authority, backlink profiles are some of the trusted factors in the market for the website quality. MOZ keyword explorer is still one of the leading SEO tools in the industry helping you to get the insight about the site and domains. If you are trying to summarize up your content marketing efforts, SimilarWeb is a tool that is well worth checking out for yourself. You’ll be able to get a clear picture of the traffic flow of other sites on the web, meaning you’ll see where their traffic comes from and where it goes when it leaves. If you are looking for the free SEO competitor analysis tool, I will always recommend you go ahead with SimilarWeb. Its browser extension is simply amazing. 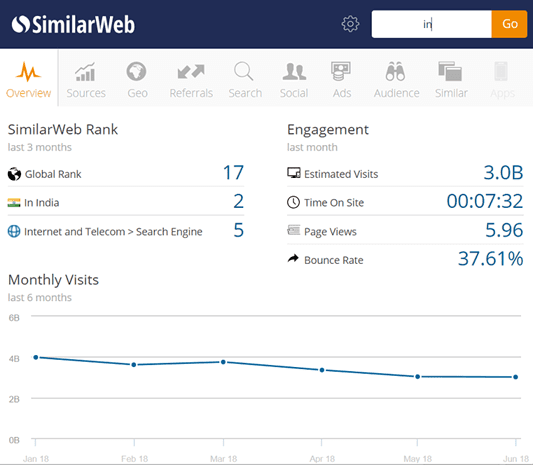 For a quick look at any website, you don't have to visit SimilarWeb. Just install their chrome or Firefox plugin and click on it while the website is open which you are trying to analyze. It will give you the overview like traffic, traffic sources, top-ranked keywords and much more. If you need detailed analysis, you may visit the website and get other details. Again, there are limitations for the free version and if you need full feature with complete data, you may subscribe to the paid plan. 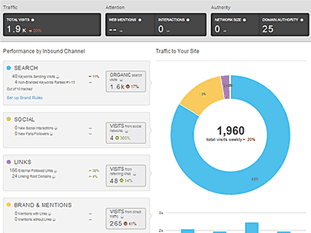 Last but not the least, I found Web CEO as another useful SEO competitor analysis tool. I listed Web CEO when I was writing the top Ahrefs alternatives as well and I feel it deserves the mention. Although Web CEO is not as famous as the SEO tools like SEMrush and Ahrefs but they are also the best in the business. The major reason I found behind this is, Web CEO focuses their marketing effort on small business and enterprises. Even their startup plan which is the minimum plan starts at $99 per month. But the price worth as you will find multiple features and tools like keyword research, content marketing, social media analysis etc. In the end, it is probably going to be best to use a combination of SEO competitive analysis tools in order to pick up all the information you need. Whether you choose to use some of the tools above or any of the others offered around the web, analyzing your competition is a key step on the road toward that number one spot.